Inside a dusty roadside shack sleeps Paa Joe, the world renowned Grandfather of the fantasy coffin trade. Today started with a very early visit from Jacob who had managed to source a taxi to drive us to Paa Joe's church. The car actually looked as though it had been hot wired; wires spilling out of the dashboard, no seat belts and a driver wearing flip flops. We arrived at Paa Joe's residence as he chewed on some plant root for half and hour to clean his teeth. We then all piled in the car, four kids in the back, and made the hour and a half journey to Paa Joe's church. This was a great experience but it was pretty tough... little water, no food and a lot of traveling. Afterwards, I was looking forward to checking into my beach shack, only to find that it had been double booked. So, we went on the hunt for another hotel. We finally found somewhere for me to stay but there was no time for resting, we were off to Jacob's youth church meeting at another parish of the Divine Healer's Church. I finally got back at 9pm and ordered my first meal of the day. This morning was a bit more of a relaxed a start than yesterday. We headed into Teshie where Paa Joe introduced me to some of his apprentices and their workshops. Everyone was very respectful of Paa Joe and it made me realise just how admired he really is. Most of the coffin makers I met had trained under him for around ten years. One man even said that he only had the workshop he was now using because Paa Joe had introduced him to the owner of the land who had granted him permission to build upon it. After this, we then popped in to see Paa Joe's Mother and aunties. They are all over 100 years old. It was so, so great to meet them. From here, we took a drive to one of the only art galleries in Accra to see some of Paa Joe's coffins on display. At the end of a long day we went back to the beach shack complex I had previously been double booked into and was able to find my own hut. The lights worked only intermittently, having been damaged by sea water, and the pipes in the bathroom were rusty, but what an amazing view! The restaurant and bar were also just what I wanted. It was another early start to the day. We set off for Akuapem Hills, two hours from Accra in the beautiful hillside. Paa Joe grew up surrounded by this amazing landscape until he was about 16. It was such a great place to visit and we met some of his old family and friends, including a chief who had known him since a child. I feel very fortunate to have seen the place where Paa Joe grew up, these very humble surroundings in the hills of Africa, and I feel honored to know the man he is now, making his mark on the world and being so respected in his craft. After this, I went back to Pobiman and stayed near Paa Joe's workshop. Today was the final day of filming and so I gently captured visuals around the workshop and chatted to Jacob about all of the things we had seen. It was a slower day today and I now feel ready to go home and see my family. I had one last dinner with Jacob that evening and went to bed eager to get ready for the flight. Today pretty much consisted of packing and saying my goodbyes to the guys at Paa Joe's workshop. Paa Joe drove me to the airport as he wanted to say good bye from there and then I boarded my plane home. This was a really fantastic trip that built upon all of the experiences of my first visit and has created so much more material for the project. Our ideas are becoming much more clear in terms of what we want to achieve with this project and how we are going to make it happen. 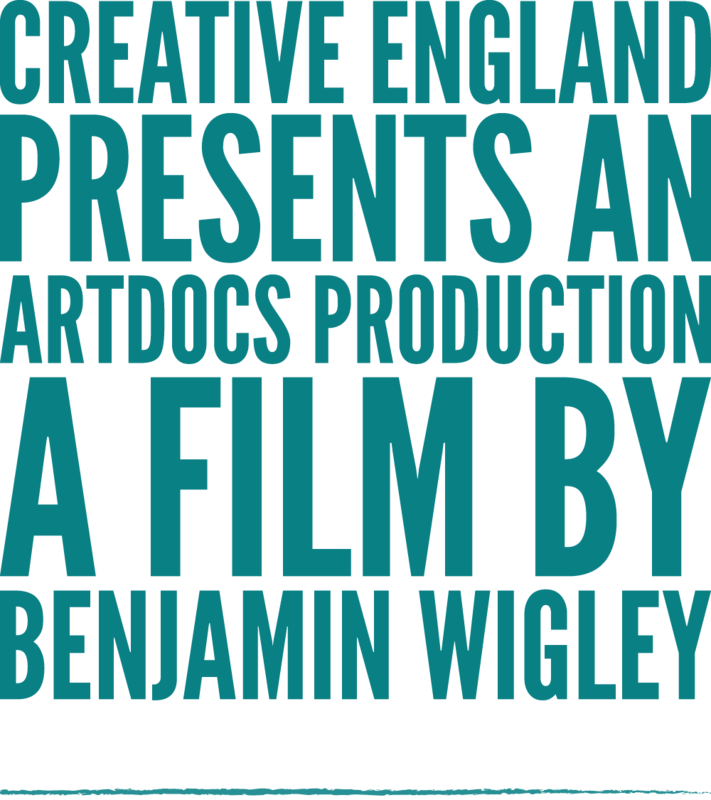 Ben Wigley is a documentary film-maker and artist whose work explores journeys made by individuals and cultures. His work blurs the boundaries between story telling and fine art film-making. 'My projects are often realised in the space between art and documentary. I am currently interested in how we talk about our lives through the metaphors of the natural world, and in the connections we make between memory. Working with film allows me to introduce elements of documentary, poetry, philosophy, spirituality and folk culture into my works to create a sense of magical realism'.